These tips are in no particular order. You may notice that some are more powerful than others. The older your website domain is then the higher it will rank as time goes by, just so long as you keep it updated frequently. Do not try to cut corners and hire dubious marketing companies or employ Black Hat techniques, because you will lose the ranking you have accumulated over the years. 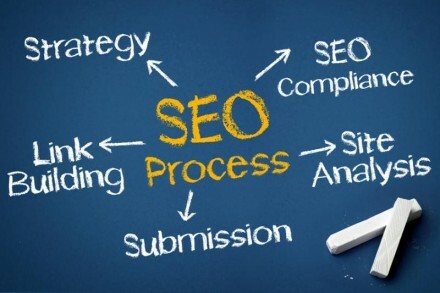 Furthermore, make sure you keep abreast of new SEO developments. LinkedIN was created as a social media for people in business. Link from it to your website, from your profile and from your contributions to comments and forums. You may gain a little bit of traffic from the site, and the search engines will look more highly upon links from LinkedIN if you are an active LinkedIN user. If you have staff then assign members of staff to spend a little bit of time each week to post updates that are not of primary importance. Things such as commenting on the blogs, answering forum questions, updating facts and figures, updating employee profiles, micro blogs about in-office news. You should update it frequently with bigger issues such as price changes, industry news and promotions. The effect of this is often overlooked by the business website because they are too busy worrying themselves over the popular keywords. If you are doing your job correctly, you will have people searching for you online. You may not think that your business name is important because your website is called after your business and your home page has your name on it, but that is not enough. Your business name needs to be in the keyword Meta tag on the home page. It needs to be in your Meta description twice and needs to be mentioned on your home page at least twice. You must also remember that images with your name on (such as images of your logo with your name on) do not count! Your name needs to be written. Your domain name has less importance that you think. You can Google your domain name and find that your website is listed as item 2200. You need to optimize your homepage for your business name. The last thing you need is for people to Google your business name and come across 200 reviews of your services and products before they get to your site. It is the best way to have every page on your site indexed at the same time. Use an external CSS file; make sure your Java Scripts are clean through referring off page via an external file. Use Flash like an image (only) and don’t use frames. Comprehensive means a link to the major junctions of your site from the home page, it means a sitemap, and means at least three links on every page. Include keywords in your internal link anchor text and don’t try to hide links. If your business does not churn out chunks of text for a living then you may have trouble finding things to update your website with, but even things such a jewellery shop can update with gold prices, stock prices, blogs, price changes, up and coming offers and industry news. Many people link to their suppliers if their suppliers have a trade only policy. The prestige of having their link and logo on your site is good; it is also good if they link to you too. It benefits both your online credibility and your website SEO. You may even gain direct link followers from the other websites. Of all the tips on this article, this is the second most powerful. People spend a fortune on research for keywords so that they can get to the top spot. All you need to do is Google your hottest keywords and you will find a results page full of your competitors. Look at the web pages and source code and steal their keywords. They did the hard work and paid the money…and you benefit. Click on the tab that says “external links” and there you will find a list of all the sites linked to the URL. All you need to do is follow each one and get yourself linked from the same pages (which will help you greatly in plonking your site right next to the ones on the top of the search engine results). Ahref is good, but only allow 5 free searches per day. My name is Sonia Jackson. I represent the web-site www.custom-essay-writing.org. We’ll help you to solve all problems with writing different essays and research papers in a short time; we’ll answer all your questions and give you useful advices.